Make checks payable to Coosa Valley Medical Center Foundation or call 256-401-4070 to pay with a credit card. EAGLE Sponsor - $1000.00 - Includes four players, four tournament gifts, acknowledgement of sponsorship on a course hole, golf cart, and listed in the Event Program. BIRDIE Sponsor - $700.00 - Includes two players, two tournament gifts, acknowledgement of sponsorship on a course hole, golf cart, and listed in the Event Program. PAR Sponsor - $350.00 - Includes one player, one tournament gift, acknowledgement of sponsorship on Sponsorship Board and listed in the Event Program. Individual Player - $250.00 - Includes one player and one tournament gift. 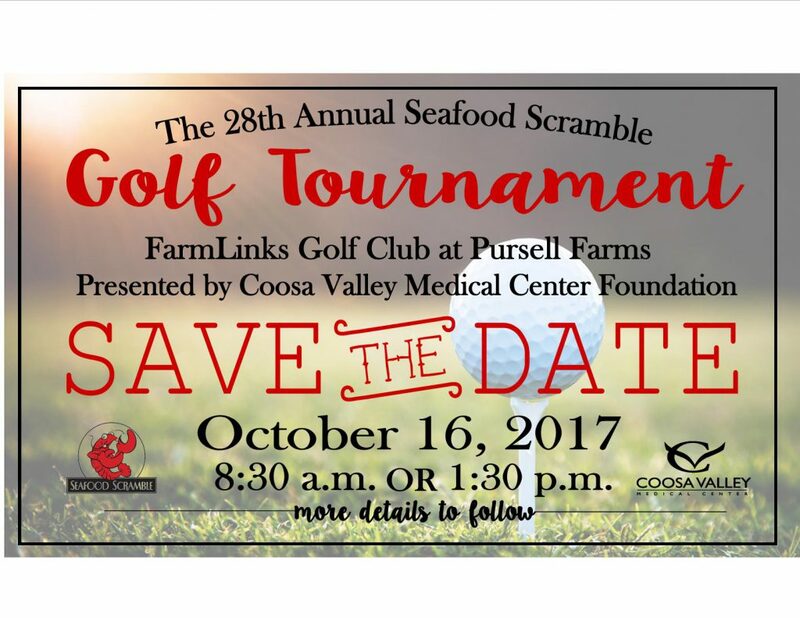 *Each Player fee includes: cart, tournament gift & Seafood Scramble buffet available from 11:30am-1:30pm.